The first visit is a 1 hour consultation where we will check your spine, pelvis and health right through. So leave an hour of your time for this crucial visit. Make sure you bring any relevant documents or films that may help the Chiropractor make informed decisions. You will first be greeted by our friendly staff who will get you to fill in our health questionnaire. Then your Chiropractor will call you into the consulting room to discuss your health related concerns. This includes current and past histories, and relevant family history. 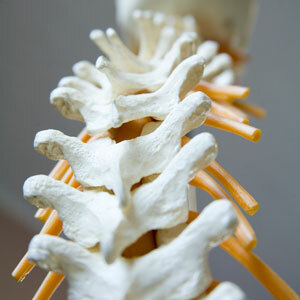 Once it is determined this is a Chiropractic case we will continue to have you gowned for a full physical examination. This may involve an aggravation of your symptoms as we need to find out what is happening to the body. As our clinic has a holistic approach, your Chiropractor will do tests and ranges of motion for the whole spine and body, not just your area of pain, as there may be a possibility the root cause is coming from elsewhere. If there are no findings that suggest the need for further examination then your Chiropractor may determine that it is safe to proceed. Our Chiropractors possess a wide range of techniques to help the body to heal. From simple advice, to soft tissue work, to Chiropractic adjustments, your Chiropractor will hone and prescribe a personalised treatment regime just for you. Finally, you will be told some dos and don’ts to help your body heal. Once changed, you will proceed to the front desk to organize your second appointment 1 or 2 days later. Then once payment is collected you will take heed to your Chiropractors recommendations and look forward to your next appointment! A typical office visit is a 15 minute appointment. Your chiropractor re-checks and adjusts your spine and continues with the program prescribed, modifying and adapting techniques as the need occurs as you regain your health and functional stability. A progress examination is performed every 12th visit which involves revisiting the physical examination in your first visit and seeing the changes made since starting Chiropractic! Ready to get started? Please call our Maddington office to arrange a time so that we may meet you and discuss your particular health issue. (08) 6161 2793.